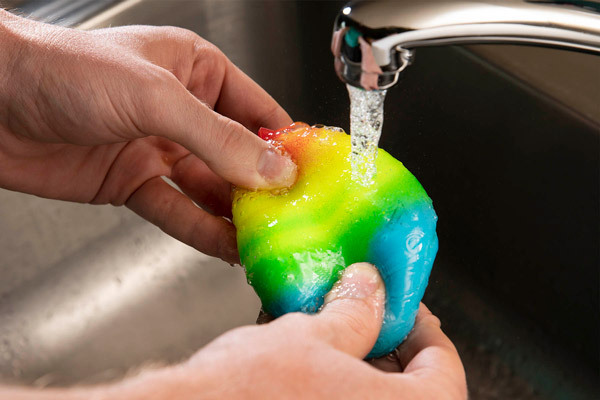 Sticky the Unicorn Poo: Squishy toy that looks like a 🦄 took a big 💩. 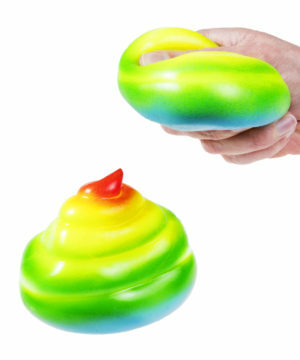 If someone were to drop a deuce in the palm of your hand, you'd probably be upset. But when a unicorn pile plops, it's nothing but rainbows and smiles. 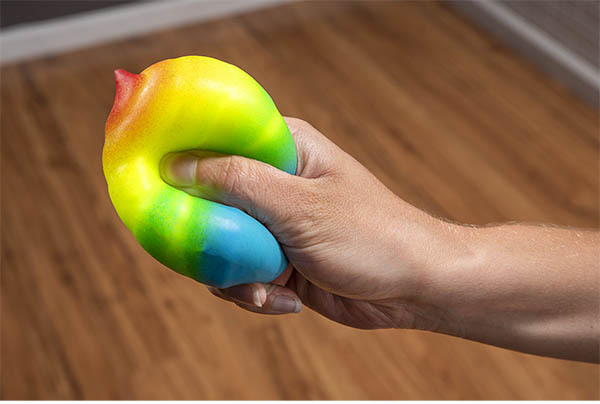 This pliable throwing toy has the appearance of a rainbow-hued poo emoji, and just like a unicorn, it seems like magic. 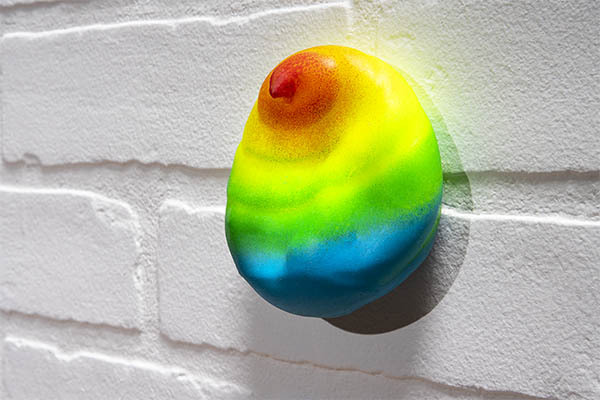 Throw it at any wall or window, and SPLAT! 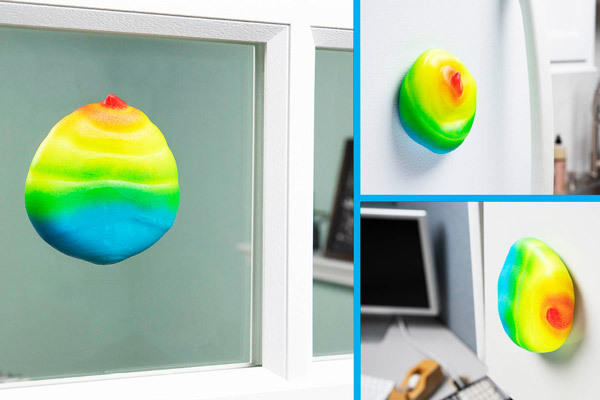 It sticks with a satisfying sound. Peel it away to reveal that it's left no residue and is ready to throw again. You'll enjoy Sticky the Unicorn Poo so much that the next time you see a one-horned horse, you'll volunteer to clean up after it.